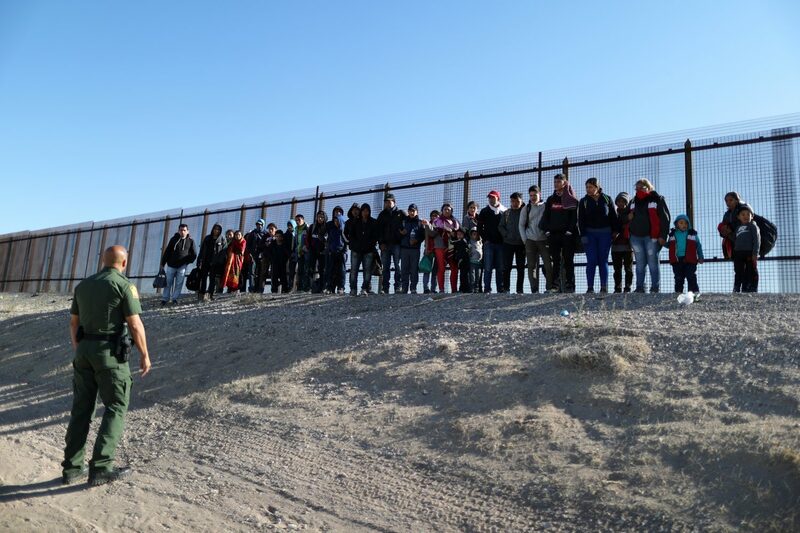 The group was trying to surrender to U.S. Border Patrol agents and claim asylum, but the agents were too busy herding other groups along the fence that stands about 100 yards (91 m) inside U.S. territory. The 18-foot-high (5.5 meters) steel barrier is meant to deter illegal immigration. But its position inside the border has turned it into a destination for human smugglers trafficking large groups of asylum seekers fleeing poverty and violence. The smugglers in recent weeks have shifted routes to El Paso from the remote Antelope Wells area of New Mexico, Border Patrol supervisory agent Joe Romero said. Once undocumented migrants are on U.S. soil, the Border Patrol is obliged to arrest them for entering illegally. But migrants can claim fear of returning to their countries, allowing them to remain in the United States legally until an asylum hearing, which can take months or years. The smugglers’ strategy exploits a weakness in the very border wall President Donald Trump has touted as a means to protect the United States from undocumented immigrants and illicit drugs. The crowds in El Paso illustrate changing immigration patterns. As recently as 2015, the majority of undocumented border crossers were adult men from Mexico looking to disappear into the country and find work. Now the Border Patrol says about 85 percent of migrants arriving in the El Paso sector are Central American families and children seeking asylum. 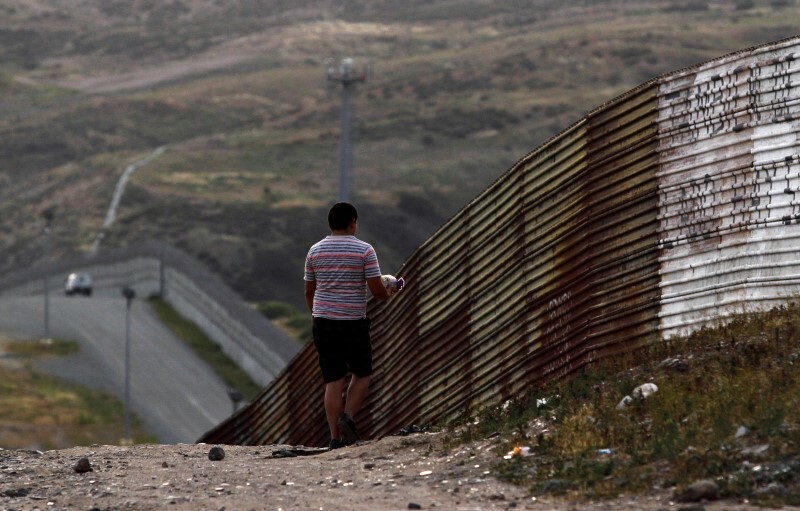 Gaspar Isom, 38, who was with his 16-year-old son Sebastian, said he chose El Paso for the relative safety of its sister Mexican border city, Ciudad Juarez. “We were told other places were more dangerous to cross, they were controlled by the Zetas,” Isom said, referring to the Mexican cartel. The pair were among close to 1,000 mostly Central American migrants who crossed into El Paso on Wednesday in the kind of surge the U.S. border has not seen in over a decade, Border Patrol data show. El Paso is not alone in seeing an uptick. Over 268,000 undocumented migrants were arrested at the Southwest border from October through February, a near doubling over the same period a year earlier, to a 12-year high, according to government data released this week. Annual apprehensions remain well below the peak of 1.6 million in 2000. Border Patrol officials say the El Paso fence, one of multiple sections of barrier built inside the border due to quirks of local topography, is successful in stopping migrants from scattering into El Paso. But they acknowledge having a hard time keeping up with the numbers. El Paso sector Border Patrol stations reached capacity on Wednesday, and the group of 60 was finally picked up at 5 a.m. Thursday, after spending two nights sleeping by the fence, according to Dylan Corbett, who helps run a migrant shelter operated by El Paso’s Roman Catholic diocese. (Reuters) – U.S. Border Patrol said on Friday its resources were being stretched thin by larger and larger groups of Central American families left by smugglers in remote locations along the U.S. Mexico border. So far in fiscal year 2019, which began last October, the Border Patrol has apprehended 60 groups of 100 or more migrants, compared with 13 during the entire 2018 fiscal year and just two large groups caught in the 2017 fiscal year, a U.S. Customs and Border Protection (CBP) official said on a call with reporters. Facilities built decades ago are struggling to cope with the influx of migrant families, many with young children, who are often in need of medical care. Many of the migrants who may seek passage with smugglers in their journey through Mexico cross the border and turn themselves into U.S. authorities to seek asylum in the United States, a drawn-out court process that can take months or years to resolve. The Trump administration has tried to curb access to asylum, including by starting a program that would require applicants to wait out their legal proceedings in Mexico. Human rights advocates say increased border security and daily quotas put on asylum requests at ports of entry are among factors pushing large groups of migrants to cross the border in risky, remote areas. Just how dangerous these crossings can be was highlighted in December when a 7-year-old girl from Guatemala died in U.S. custody after she and her father crossed in a large group in a remote area of New Mexico. Weeks later, an 8-year-old Guatemalan boy died after crossing the border with his father near El Paso, Texas. Overall, illegal crossings at the southern border have dropped dramatically compared to previous decades but in recent years the number of families and unaccompanied children heading to the United States has increased. 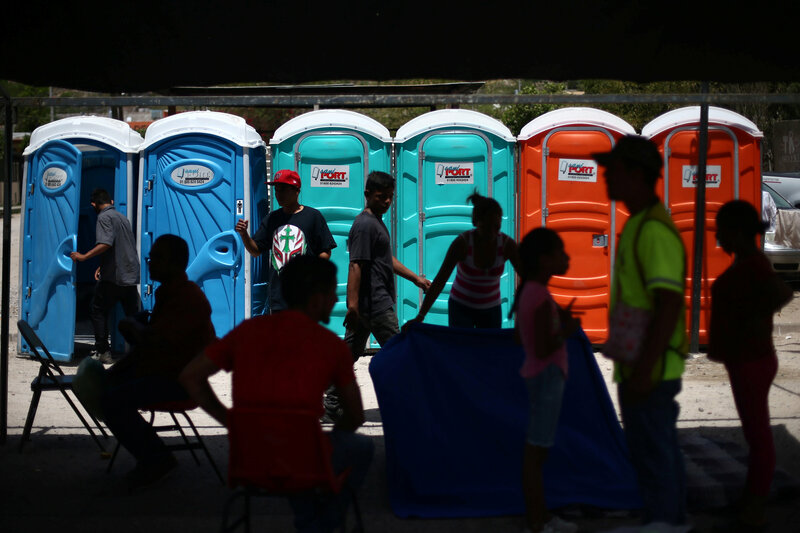 HERMOSILLO, Mexico (Reuters) – Hundreds of Central American migrants traveling in a “caravan” were in limbo in the northern Mexican city of Hermosillo on Monday on the final stretch of a journey to the United States where President Donald Trump ordered officials to repel them. 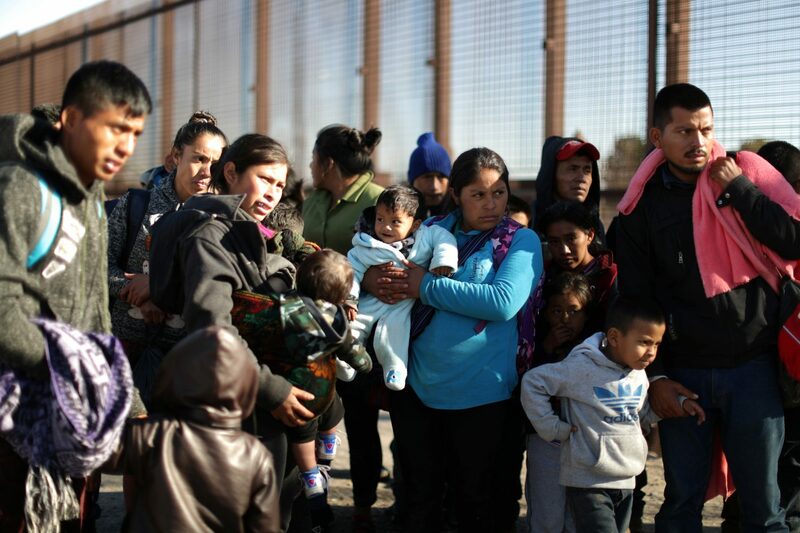 About 600 men, women and children from Guatemala, El Salvador and Honduras had been waiting on Monday in Hermosillo, Sonora to board a train or take buses for the remaining 432 miles miles to the border with California. Traveling together for safety, their numbers were down from a peak of about 1,500 people since they began their journey on Mexico’s southern border with Guatemala almost a month ago, as smaller groups broke away. Many women and children in the group were planning to seek asylum in the United States after they reach Tijuana, said Rodrigo Abeja, a coordinator from immigrant rights group Pueblo Sin Fronteras that has been organizing similar caravans for several years. Moving from town to town, the impoverished and bedraggled travelers became a lightning rod for U.S.-Mexico relations after Trump launched a succession of tweets in early April, telling Mexican authorities to stop them. On Monday he again lashed out, threatening that failure to stop the caravan could stall the already tense renegotiation of NAFTA. Following Trump’s Tweets, the group was considering applying for asylum status in Mexico, a Reuters witness traveling with them said. Trump’s concern with the caravan coincides with recent U.S. border patrol data showing a sharp rise in the number of immigrants found illegally crossing the border, a setback after immigration from Central America evaporated in the months following his election. 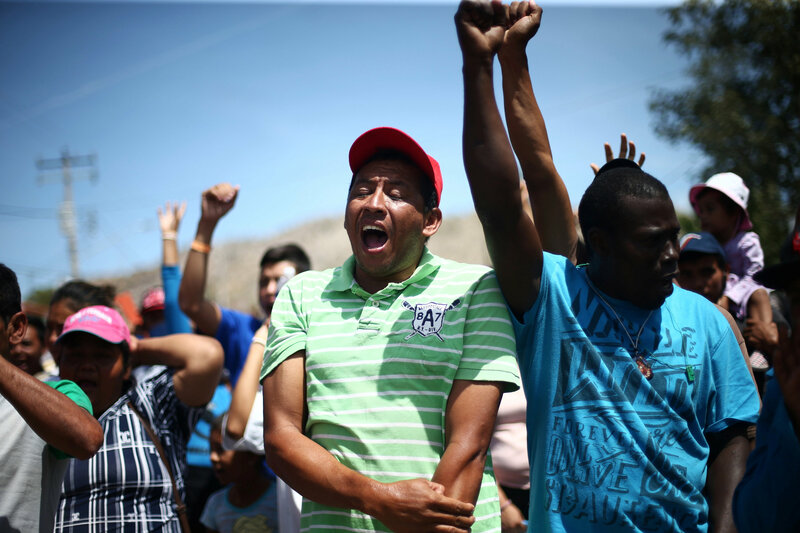 Some migrants told Reuters they would stay in Mexico. Others said they would find other ways to cross. At least 200 were likely to claim asylum if they made it over the border, according to migrants and caravan organizers. Marie Vincent, a U.S.-based immigration attorney who met the caravan on a stop along the way, said many of the immigrants had a strong case for U.S. asylum either because they faced political persecution, lethal threats from gangs, or violence because of gender or sexual identity. Faced with another death threat, he escaped to Guatemala and then to Mexico from a hospital bed with the tubes still stuck in his body — one of them hanging from his stomach, she said. Although Honduras and El Salvador rank among countries with the highest homicide rates in the world, rejection rates for asylum claims from those countries are very steep. 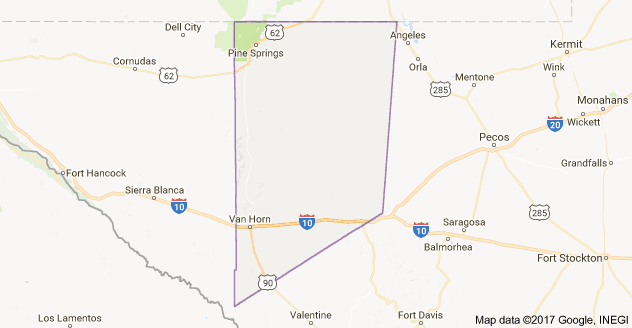 A U.S. Border Patrol agent and his partner were attacked in the Big Bend Sector of Culberson County in Texas. Agent Rogelio Martinez died this morning from his injuries sustained in the attack,while his partner,who has not been identified, is still hospitalized in serious condition. According to press releases, there was no gunfire involved in the incident. Both men sustained blunt force trauma to the head. Agent Martinez, 36 had been a border patrol agent since August 2013. He and his partner were responding to activity while on patrol near interstate 10 in the Van Horn station area. The region’s mountains and the Rio Grande do not offer the best crossing opportunities for illegal immigrants crossing into the United States from Mexico. 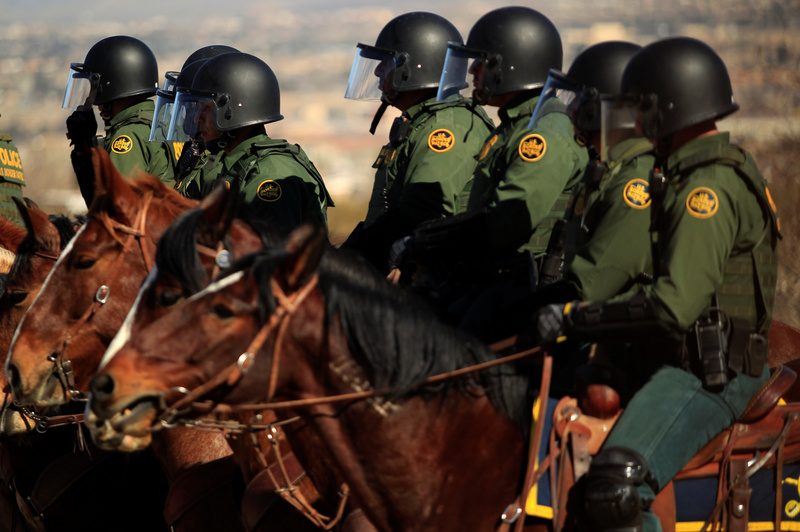 The Border Patrol records show that the Big Bend area only accounted for only about 1 percent of the more than 61,000 apprehensions that have been made along the Southwest border from October 2016 to May 2016..
After the attack, Agent Martinez’s partner was able to report that they were both injured and needed assistance. When discovered, the two were transported to a local hospital. Border Patrol agents and the Culberson county Sheriff’s Department secured the scene and are searching for witnesses or potential suspects. The investigation has since been turned over to the FBI. According to a news report with NBC news, Chris Cabrera, a spokesman for the National Border Patrol Council labor union and a patrol agent, said the Martinez was hit several times in the head with a blunt object, possibly a large rock. “We’ve had agents, a good friend of mine actually almost lost his eye. It happens quite a bit, unfortunately,” Cabrera said, adding that patrol vehicles, including helicopters, have been damaged by the throwing of rocks. Cabrera said the type of rocks that agents are struck with are large in size, approximately as big as a grapefruit or softball. Border Patrol agents have also reported the use of Concrete blocks. 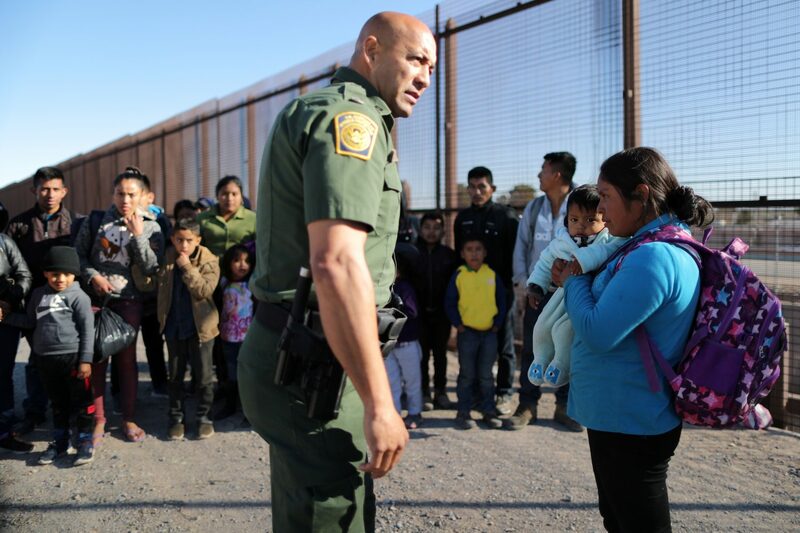 Fox news reported that although few details about the incident have been released, Brandon Judd, the president of the National Border Patrol Council, told Fox News on Monday it appeared Martinez and the second agent were “ambushed” by a group of illegal immigrants. “We don’t know exactly what happened because we weren’t there. However, just from agents that were working in the area, reports are saying it was an attack and it would appear to be an ambush,” Judd said. As of Monday afternoon no suspects have been apprehended. 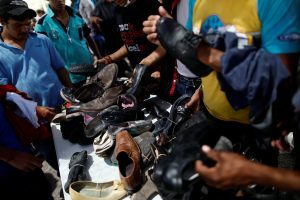 Mexico buckles under migrant surge to U.S.
TAPACHULA, Mexico/WASHINGTON (Reuters) – Mexico is struggling to stem the flow of Central American migrants traveling to the United States ahead of the U.S. presidential election, causing major concern in Washington, which is weighing sending more agents to help. In 2014, Mexico moved to strengthen its southern border when a surge in child migrants from Central America sparked a political crisis in the United States. Last year, Mexico detained over 190,000 migrants, more than double the number in 2012. But official data examined by Reuters shows that fewer migrants have been captured in Mexico this year even as the number caught on the U.S. border has soared. The slowdown in detentions on Mexican soil is frustrating U.S. officials who feel that Mexico could be doing more, according to a source familiar with internal briefings on the topic at the U.S. Department of Homeland Security (DHS). Illegal immigration is stoking a fierce debate ahead of the U.S. election on Nov. 8 with Republican candidate Donald Trump vowing to deport millions of people and build a wall along the Mexican border if elected president. Mexico says its National Migration Institute (INM), which regulates migration in the country, is already working flat out to contain the problem, but it has a fraction of the resources that U.S. agencies have. “We’re at the limit of our resources,” Humberto Roque Villanueva, Mexico’s deputy interior minister responsible for migration, told Reuters. The number of families stopped at the U.S.-Mexico border jumped 122 percent between October 2015 and April 2016 from the same period a year earlier, according to data from U.S. Customs and Border Protection (CBP). The number of detained “unaccompanied minors” – children traveling without relatives – was 74 percent higher. Most of the Central Americans come from Guatemala, Honduras and El Salvador. Despite those increases, fewer migrants are being caught as they move through Mexico. Over the same period, Mexico detained and deported about 5 percent fewer people than in 2014/15. So far this year, 3.5 percent fewer unaccompanied minors have been stopped. The DHS is considering sending more agents south to train Mexican officials on how to track human traffickers and stop migrants crossing the Mexico-Guatemala border, according to an internal briefing document obtained by Reuters. U.S. Representative Henry Cuellar, who sits on the House Homeland Security Appropriations Subcommittee, said DHS officials told him they hope to help Mexico strengthen its southern border. “When you’re constantly working at full speed and don’t have all the resources because your primary mission is to fight the drug cartels, yeah, you’re going to be stretched,” Cuellar said. DHS spokesman Daniel Hetlage declined to say whether it aimed to send more officers to work with the INM, but said the DHS and CBP have an “excellent” relationship with the INM and Mexico’s government. Roque Villanueva attributed the migrant surge to people finding new routes past checkpoints. He said he was unaware of any U.S. plan to send reinforcements, and that there are already U.S. agents at Mexico’s southern border, albeit only for training. In 2014, Mexico launched the “Plan Frontera Sur” to tighten border controls, register migrants and stop them using the perilous network of trains known as “La Bestia”, or “The Beast”. 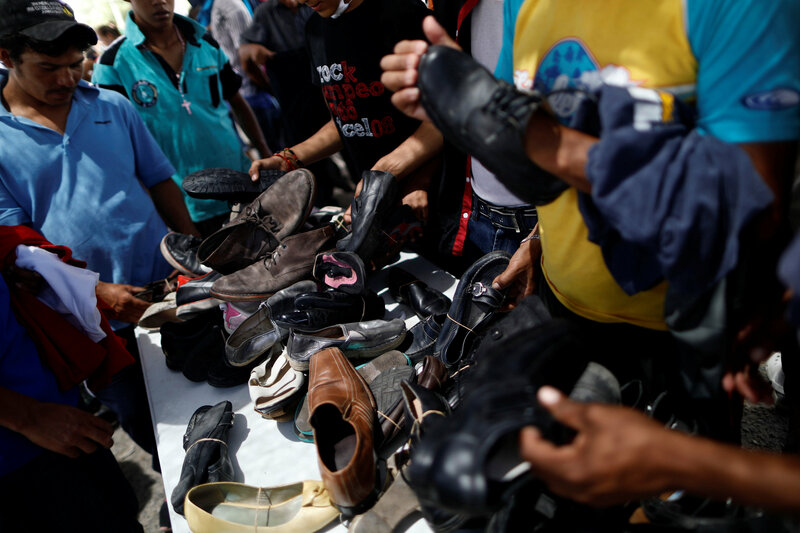 Elisabel Enriquez, Guatemala’s vice-consul in Tapachula, said migrant smugglers now rent trucks and shuttling migrants from southern Mexico all the way to the U.S. border over 2,000 km away for up to $8,000 per person. Two such trucks were stopped in recent weeks, she said, one stuffed with about 115 migrants and the other about 60. Some migrants immediately apply for asylum on arrival in Mexico. Once granted a refugee visa, they can travel through Mexico without fear of being deported, said Irmgard Pund, who runs the local Belen migrant shelter. So far this year, asylum applications with Mexican refugee agency COMAR are up over 150 percent compared with 2015, and could reach 10,000 by the end of the year, said Perrine Leclerc, head of the Tapachula field office for the U.N. High Commissioner for Refugees. The rise in families heading north is partly due to a 2015 U.S federal court decision limiting the time mothers and children can be held in detention, which has created the mistaken impression they can stay in the United States, U.S. officials say. A regional drought in Central America has also increased pressure to leave, while some migrants are trying to cross ahead of the election in case Trump wins and follows through on his campaign promises, making it more difficult for them in the future. Compared to their U.S. counterparts, Mexico’s migration authorities get by on a shoestring. The INM spent 4.14 billion pesos ($228.37 million) in 2015, less than 2 percent of the CBP’s budget request for 2016. The United States has tripled its border force under President Barack Obama to 60,000 staff, while the INM has 5,383 employees. Roque Villanueva said the fall in the price of oil, which funds about a fifth of Mexico’s federal budget, makes it even harder to put new resources into the INM. Nonetheless, he said Mexico and the United States would continue to work closely together as Washington has plenty of reasons for wanting a robust southern Mexican border. “The Americans are not so worried by how many Central Americans get through, but rather about making sure nobody with even the slightest chance of being a terrorist does,” he said. The U.S. Border Patrol arrested nearly 10,000 unaccompanied immigrant children and families caught illegally crossing the border with Mexico in August. This is a 52 percent jump from August 2014, according to statistics published by the agency Monday afternoon. Many immigrants were actually looking for border control agents so that they could be arrested once they had crossed. An increase in the number of such crossings in August is unusual because it is the time of year when hot temperatures make it dangerous to try. The Border Patrol reported arresting 6,424 unaccompanied immigrant children and families in August 2014. Since last October, border agents have arrested more than 35,000 children traveling alone and more than 34,500 people traveling as families, mostly mothers and children. The number of arrests for the year is down nearly 50 percent compared with a year ago, but border agents have reported a jump in arrests since July. Studies show that the children are attempting to cross multiple times. U.S. officials say there’s a notable increase in the number of unaccompanied minors and families crossing the U.S.-Mexico border, presenting worries of a possible new refugee influx.